Best realtor I’ve ever met or heard of! Stephanie is a true PROFESSIONAL and always makes service her top priority. She LISTENS & CARES. Details like access on email, phone, and texting at all hours of the day/night, answering all kinds of questions–real estate and other–made me feel like I had the best agent in the world. I knew I could trust Stephanie (and her partner Randy) all the way. Stephanie makes you feel special and makes the real estate transaction a joyful experience. 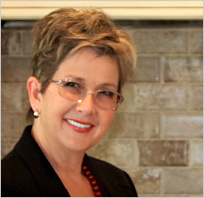 Whether you are buyer, a seller, or just need information on real estate or San Antonio, she will do right by every person, whether a current client or not. Amazing Person and GREAT realtor!